Why would I need self storage in Pembroke Pines, FL? There are a variety of reasons why you might need self-storage in Pembroke Pines, FL. How much is a storage unit in Pembroke Pines, FL? The cheapest storage unit in Pembroke Pines, FL is $47.00 per month. What size storage units do you have available in Pembroke Pines, FL? In Pembroke Pines, FL we have sizes that range from 5'x5' to 10'x30' to suit your storage needs. How much is it for a 5'x5' storage unit in Pembroke Pines, FL? The cheapest 5'x5' storage unit in Pembroke Pines, FL is $72.00 per month. Pembroke Pines is a bustling south Florida city, home to a diverse and constantly-growing population. It is among the largest cities in the state and continues to attract a mix of families, singles and retirees with its many amenities. 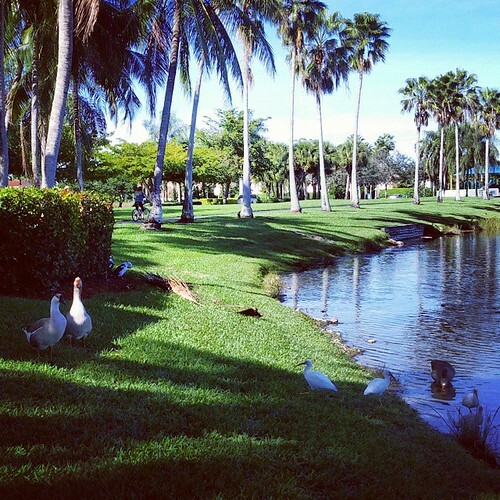 Pembroke Pines boasts more than 25 parks, several cultural attraction,s and the Pembroke Lakes Golf and Racquet Club, providing a number of options for recreation and relaxation in a picturesque setting. The earliest inhabitants of the land where Pembroke Pines now exists were Native Americans, dating back thousands of years. One of the area's first well-known European settlers was Sir Edward Reed, a member of British Parliament from the County of Pembroke. In the 1870s, he purchased a plot of farmed land. As the area began to grow, the name Pembroke Pines was suggested as a combination of his home county and the numerous pine trees that grew near one of the main roads. For many decades, the community was primarily agricultural, home to a number of dairy farms. After World War II, it experienced the suburban growth that swept so many U.S. cities. The city was incorporated in 1960 and doubled its size through annexation in 1980. Following Hurricane Andrew in 1992, Pembroke Pines gained thousands of residents from southern Miami-Dade County, making it one of Florida's fastest-growing cities in the late 1990s. Pembroke Pines is home to a diverse arts and culture scene that includes many local cultural institutions. The Annual Arts Festival draws both locals and visitors, spanning two full days every March. Also known as ArtFest in the Pines, it's a celebration that features many local artists, a children's art show, demonstrations, workshops and plenty of food and gifts for sale. There are four major arts facilities in Pembroke Pines that offer a variety of experiences. At the Fletcher Art and Cultural Center, you can enroll in one of several year-round art, music and drama classes, which are available for both children and adults. The center also hosts several day camps for children during school breaks. The River of Grass ArtsPark is home to the Susan B. Katz Theater of Performing Arts, and together they host a number of local performances and classes. Studio 18 and The Frank are two of Pembroke Pines' major art galleries, both housing exhibitions and classes. Broward County Public Schools operates the public schools of Pembroke Pines. There are also a number of schools within the Pembroke Pines Charter School System, which was established to solve overcrowding issues in the 1990s. Enrollment in the charter school system is conducted via a lottery system. There are also several early development centers for preschoolers, located throughout the city. Utilities: The city utilities department supplies and bills for water and sewer services. Florida Power & Light is the primary energy provider in the area. Garbage and Recycling: Trash, recycling and bulky items are collected on a regular schedule that's determined by your home's location. Transportation: A community bus service provides public transportation through Pembroke Pines and its surrounding cities. For inter-city transit, there is no charge. Pembroke Pines has a median home price that's significantly higher than the national average, but fairly in line with that of many similarly-sized Florida cities. Thanks to a large and diverse housing market, you should be able to find something that aligns with your budget, tastes and lifestyle. Many Pembroke Pines homes feature lush landscaping, swimming pools and multi-car garages. Our lowest priced units in Pembroke Pines, FL average $59.00 per month. 425 people have reserved units in Pembroke Pines, FL in the past 30 days. There are 5 locations within Pembroke Pines, FL's city limits. There are 5 locations in Pembroke Pines, FL that offer AC and Heating features.